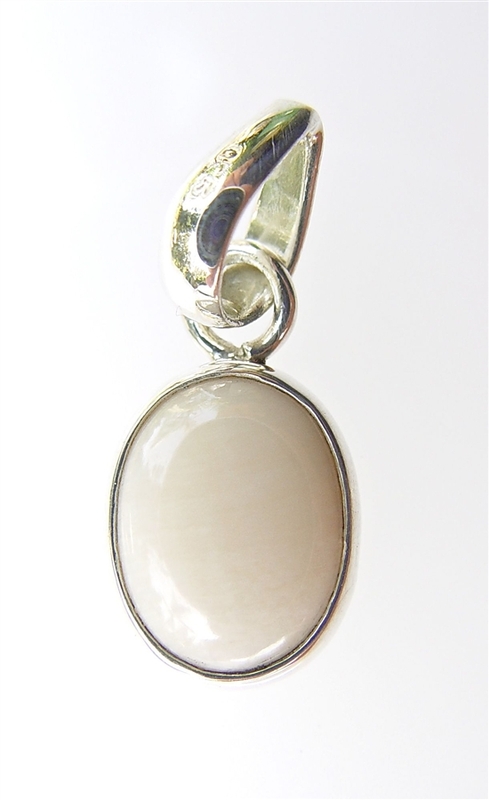 Beautiful Oval White Coral Pendant in Sterling Silver alloy. The dimensions of the gemstone pendant are 1.5 cm long, 1.2 cm wide - total length is 3 cm, weight of the white coral is at least 9 carats. White coral is strengthening and calming. Being a Venus stone, it also enhances the liveliness and loveliness of one's character. Read more about the wonderful qualities of white coral here. White coral dimensions: 12mm wide by 15mm high. Pendant dimensions: 13mm wide by 31mm high by 5mm thick. The white coral is approximately 12 carats in weight. Set in sterling silver.